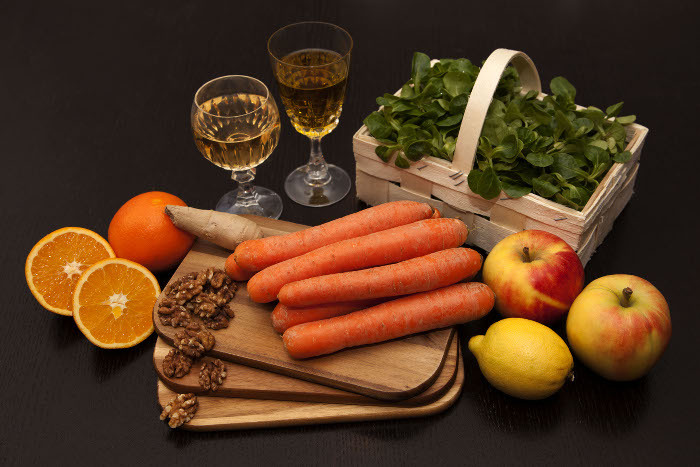 Recipe: Carrot Apple Salad with Oranges and Walnuts – Recipes. Simply delicious. Resolution for the new year? After all the party foods and goodies, some healthy food is definitely what needs to be back on the menu. 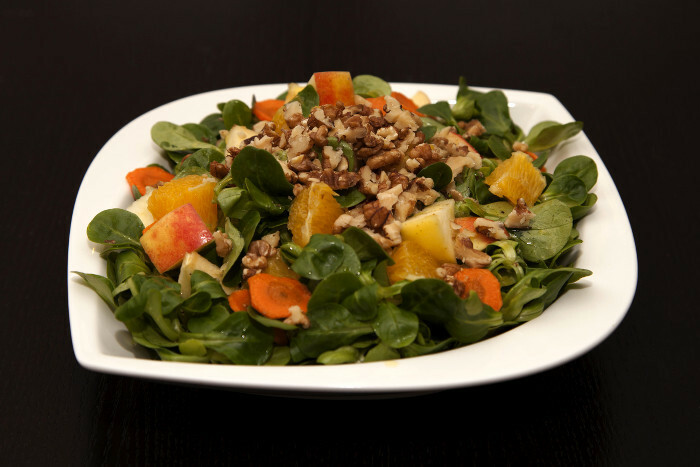 This Carrot Apple Salad with Orange and Walnut is without question easy and still really tasty: crisp, fresh and bright – have fun eating healthy again! Wash, peel and cut the ends off the carrots. Grate with a food processor or grater and put into your salad bowl. Wash the lettuce and add to the carrots. Zest one of the oranges and set aside for now in a small glass. Peel anything that’s left on this orange and peel the other orange. Cut into pieces about the same size as the apple. Stir together the oil, white wine vinegar, salt and pepper. Peel the ginger and grate it into the oil mixture as well as the juice of the lemon. Also add the orange zest you had set aside and mix everything together well – dressing is finished. Add the dressing to the salad and mix well. When serving, add the chopped walnuts.